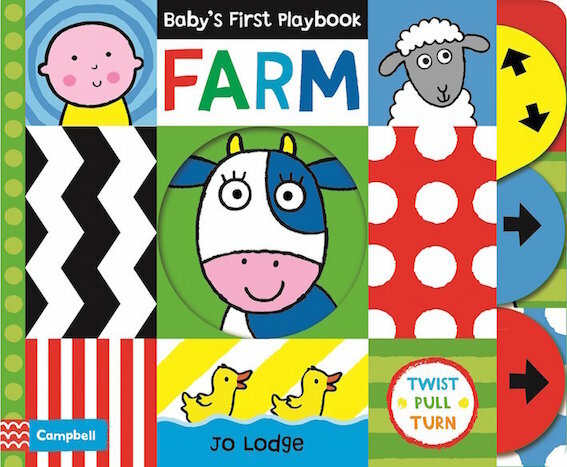 Baby's First Playbook: Farm is an interactive activity book for busy little hands and minds. 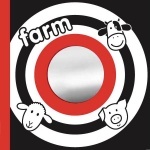 Babies will love to tug and twist the chunky tabs and find out who's making all the noise on the farm. With bright and funny illustrations by Jo Lodge, stimulating, high-contrast patterns and shapes plus a shiny mirror, this is the perfect book for active babies!